The ability to expose all food bearing surfaces for a quick and verifiable clean is critical. 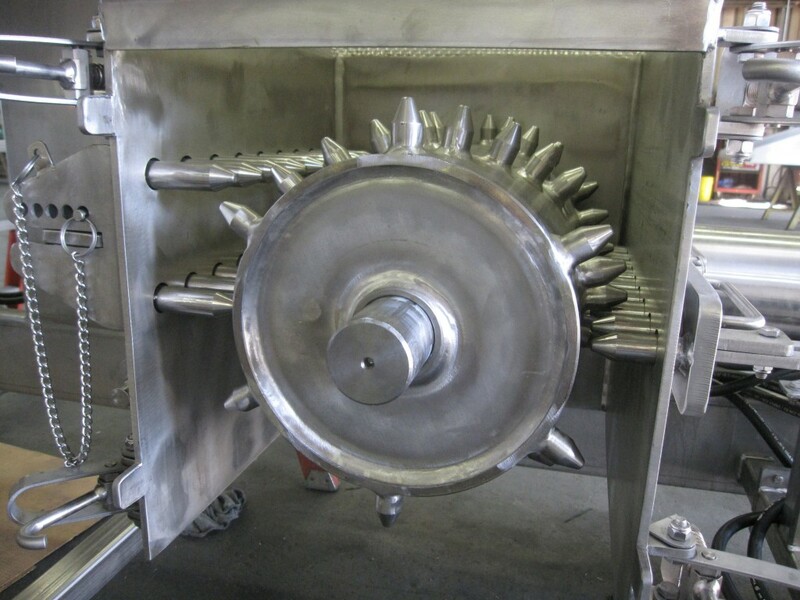 As an equipment manufacturer we bring to bear technological know-how combined with 80 years’ of food handling experience to build processing machinery that is as safe and sanitary as it can be. A critical aspect of machine design is to assure that the sanitation crew has access to all food bearing surfaces. Achieving this goal may involve the simplification of structures, addition of doors or access ports, or making components that can be removed or pulled apart. A general design principle is to make the area accessible without the use of tools; however, where access creates a worker safety issue guarding or sensors must be employed. Once a food bearing surface has been exposed, the next step is to be able to produce a verifiable clean as quickly as possible. The principles that can be applied to achieve this goal are to assure line-of-sight inspection to all exposed areas, and to avoid tight corners and transitions, instead using large radius bends.